A Sample cashback offer for Boost! CashBack earns you money for simply scanning your receipts! . The earnings can be later redeemed for Free Recharges, Free Shopping vouchers as well as movie tickets! (Thus, you can get your recharges and movie tickets costs covered up by simply scanning up your grocery and shopping receipts) . 2. Scan your bill using CartPerk. (You can check the offers in the alongside image) . CartPerk rewards you after your bill is validated. 3. 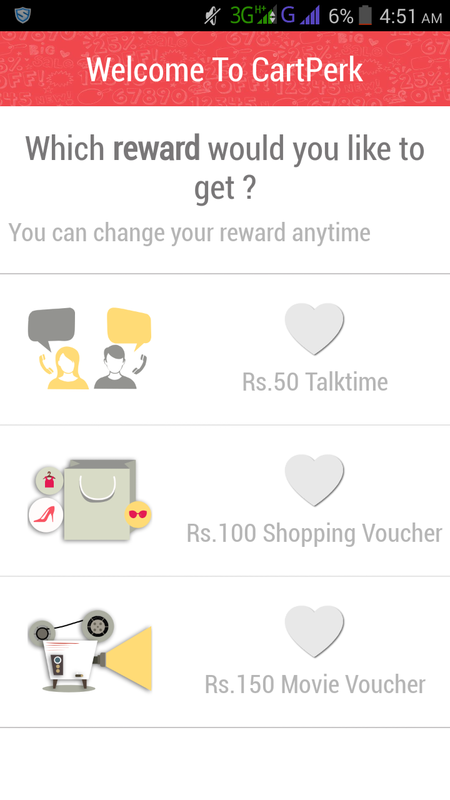 Earn your rewards as Free Mobile Recharge, Movie tickets & Gift vouchers! Introductory Offer - If you install download the CashPerk app by our blog – You’ll be given a unique sample receipt within the app itself and will be visible when you keep your phone flat. You can later scan this sample receipt and get your Free Rs.5!